What is the Dzithandizeni Women's Group? Some of the women helping us out in Mchinji. They are key contacts in a group of some 1,500 women in a District of 3,356 square km with a population of over 500,000. First that name: In the local Chichewa language, "Dzithandizeni" means "Let's help each other". 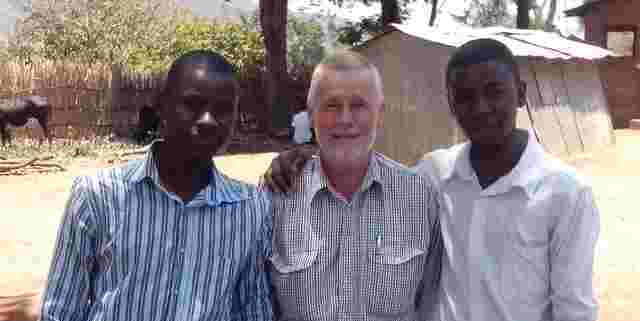 It was always a good choice of name for the group originally brought together by Mrs Joyce Andersen, who wanted to give women in Mchinji more say and more control over their lives. The group has some 1,500 members spread over five zones in Mchinji District. Mrs Andersen passed away some years back but her work lives on thanks in part to her son, Kimba, who now manages Kayesa Inn, the small resthouse built by his parents. Kimba acts as a focal point and supporter for the group. 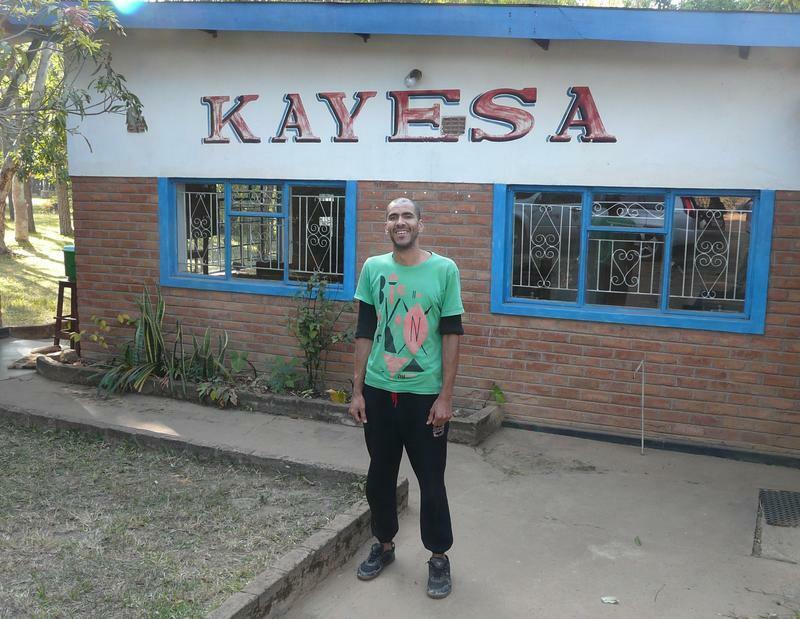 Kimba Mutanda Andersen in front of the Kayesa Inn, originally built and managed by his parents. It was through Kimba that we were led to the Dzithandizeni Women's Group established by his late mother. A keen musician, he is co-founder of the Malawian hip-hop band Real Elements. 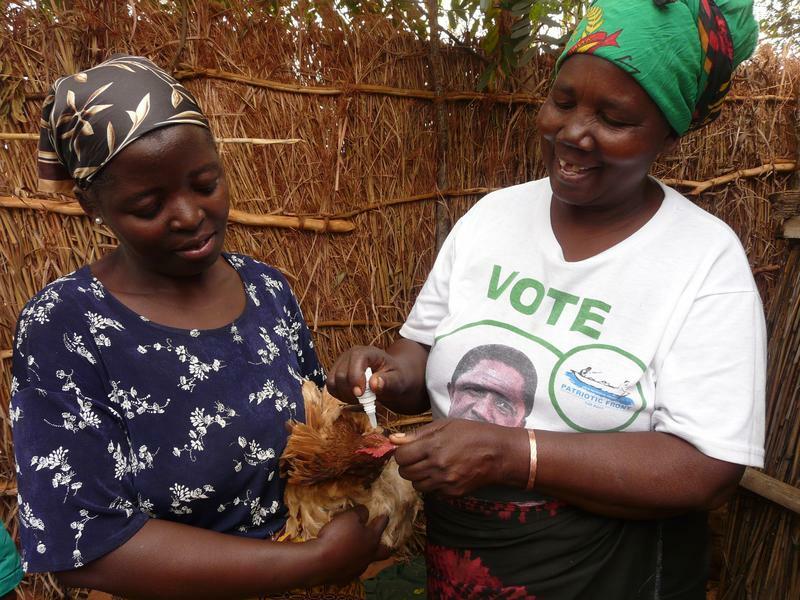 When RPC was asked to work in Mchinji District, the Dzithandizeni Women's Group was a logical place to start. It was already well organised, it had loads of enthusiasm, it was just waiting for another opportunity to further develop and improve the lives of its members. And, although we didn't tell them as much, the fact that it was composed of women meant that we would be dealing predominantly with the people who actually manage the poultry, (as distinct from the husbands who generally concentrate on other activities). We are making a small start just now. Funding limitations don't permit us to go full throttle but at least we are making the contacts and preparing the ground. 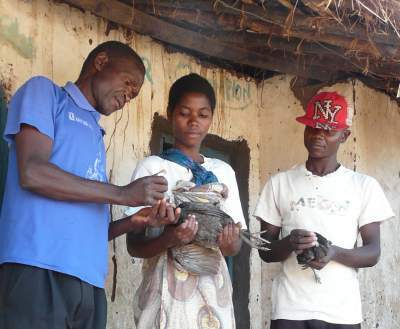 We have teamed up with LUANAR (Lilongwe University of Agriculture and Natural Resources - Bunda campus) to pilot a novel approach to marketing strategies for village poultry in Mchinji. [There's more about that here]. 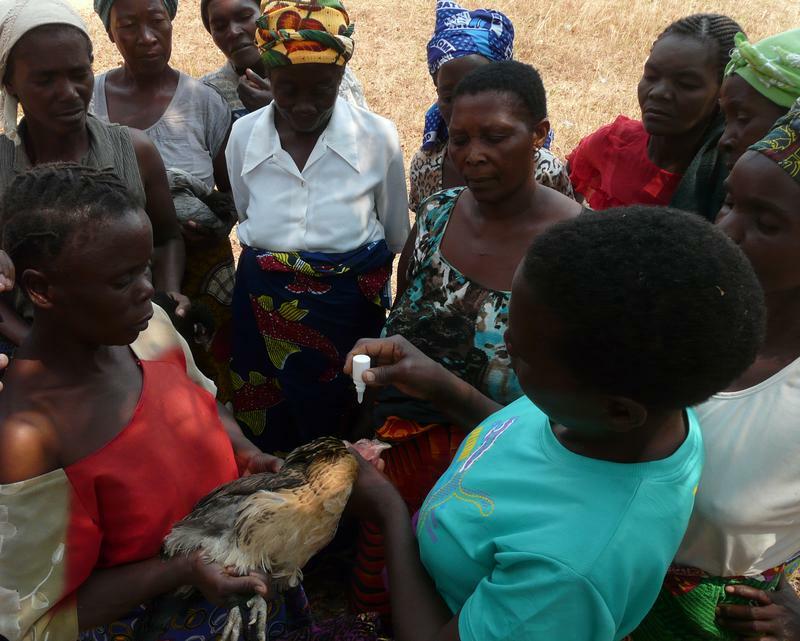 Some members of the Dzithandizeni Women's Group learn about vaccination of chickens with the I-2 Newcastle disease vaccine.